Twelve South have launched a new iPhone 4 case a little different from the norm, which combines both a wallet and protection for your iPhone in a case that gives the appearance of a pocket vintage book. 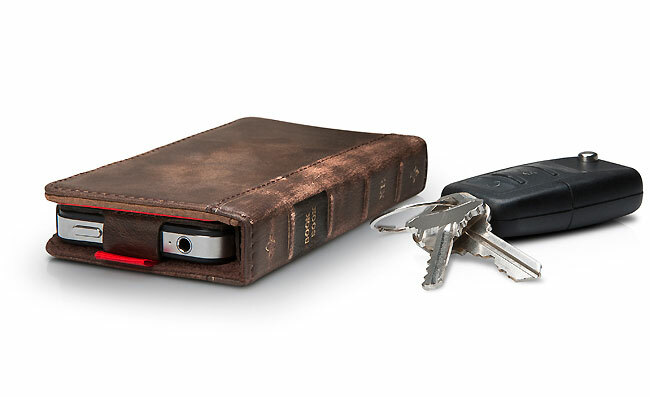 The BookBook case is constructed from leather and includes a handy ID window, making it easy to flash your license when required and enough storage to also carry a few credit cards. 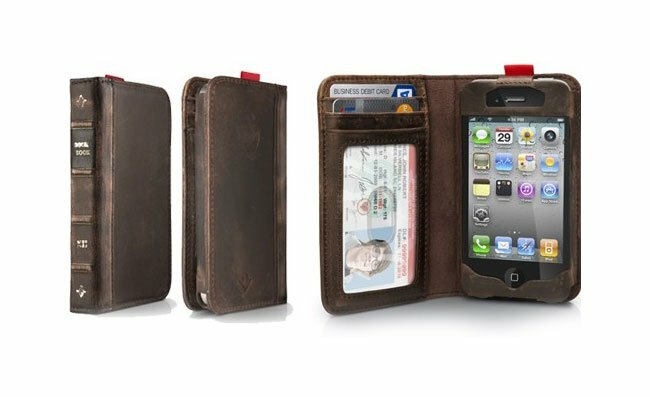 Together with a vertical pocket allowing you to carry cash, receipts or business cards. To talk and make calls on your iPhone simply fold back the book cover. The BookBook allows you to sync your iPhone 4 whilst in the case and provides access to all the phones ports. The design provides access to your iPhones screen without the case encroaching onto the screen. The new BookBook for iPhone 4 is available now at Apple Store and twelvesouth.com for $59.99.